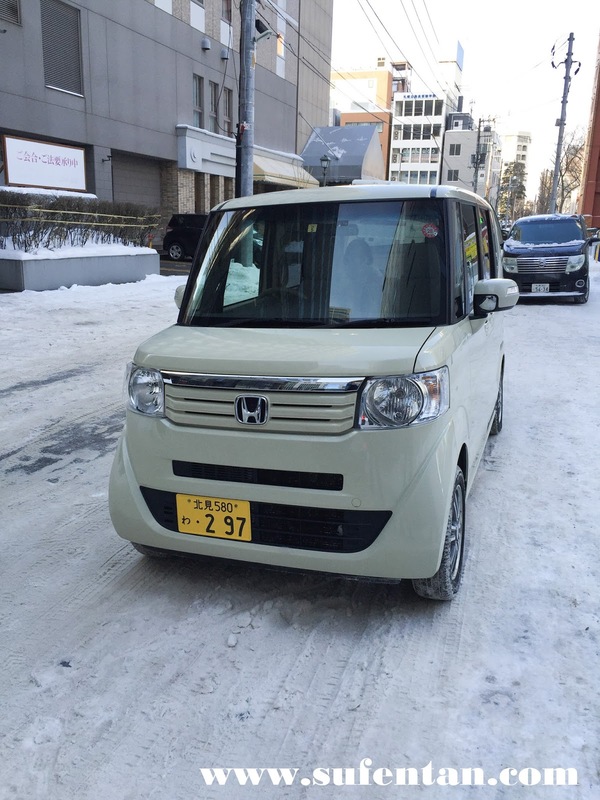 Should you rent a Car in Hokkaido during Winter? It is my first time to visit a country during winter, and we picked Hokkaido as our newest vacation spot in 2016. When visiting Hokkaido, we prefer to rent a car rather than taking the public transport as the weather is too cold and it is hard to stay long outside. At first I have doubts about renting a car in Japan as it is not cheap compared to the cost of public transport. However, after experiencing a -11 degree celcius on the first day we arrived, I thanked god that we made the right decision. 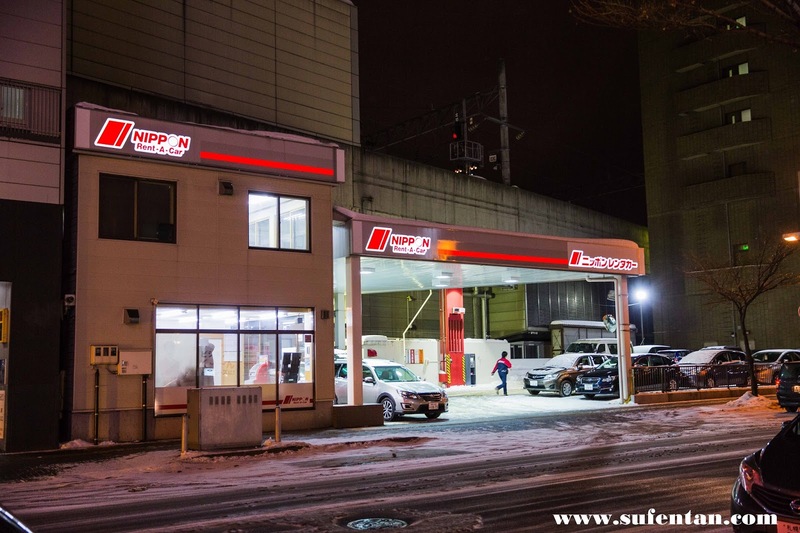 We researched for quite long time, comparing between different rental car companies and finally we decided to go with Nippon though they are slightly more expensive than most of the rental car companies. 4. They are the few that provide Hokkaido Expressway Pass (only eligible for foreign visitors in Japan). If you are planning to drive to a few cities in Hokkaido, you will need an ETC card and a Hokkaido Express Pass (I would recommend to get it as it helped us to save a lot of money!). Nevertheless, you still can go through the town roads in between to avoid the tolls, but bear in mind that it will take much more time and sometimes some of the roads may be closed due to heavy snow. However, if you are driving in the same city, you don't have to get an ETC or HEP. You can opt for a city car which is much more cheaper. What are ETC and Hokkaido Express Pass? ETC (Electronic Toll Collection) is a system which allows the use of an ETC card in properly equipped vehicles to pay Expressway tolls. This extremely convenient system bypasses the hassle of stopping to pay. Not all car come with an ETC device. 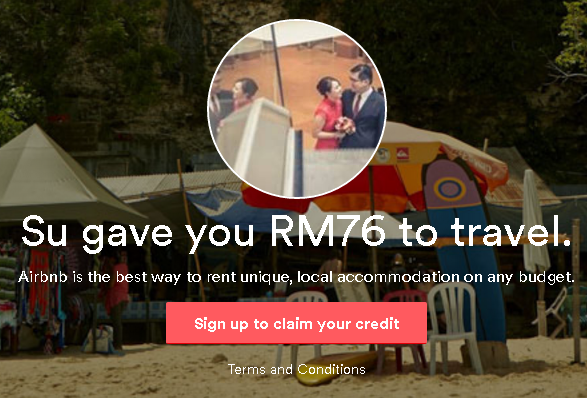 Check with the rental companies' website before booking. You need a ETC card to pass through the toll, payment will only be made when you return the car. Hokkaido Express Pass (HEP) is a pass that is offered to foreign visitors only, it gives you unlimited use of Hokkaido's expressways through the ETC system for a daily flat rate. I would recommend to those who will go through a lot of expressway tolls. We drove to four cities-Sapporo, Otaru, Furano and Hakodate, by using the HEP, it helped us to save more than 30%-40% of the toll fee. You will still need a ETC card in order to use the HEP, HEP will be the flat rate charged on the ETC card. Please check carefully with the rental car companies, not all companies provide HEP. When booking, remember to select ETC card & HEP together. What do you need when renting car in Hokkaido? We collected our car from the Sapporo North Station, just a few steps away from the station. When driving in Hokkaido, you get the chance to see the beautiful scenery around it. That is what we love most when driving. This is the toll booth. There are two types of toll booth, Normal &ETC. Remember to always use the ETC booth if you are using the ETC card or HEP. It is like our smart tag booth, where the bar will detect the ETC card from the device installed in the car. When driving in Hokkaido, don't worry about the road map as all of the cars are installed with a gps system. However, even if you have selected English language, you cannot key in the road name in English. You will need to get the phone number or mapcode of the location. I would recommend to plan ahead your trip and jot down all the phone numbers and mapcodes before you start your journey. The map that the car rental company provides might not come with mapcodes. We encountered a snow storm a few times on the road but it was still manageable. A lot of people told us that driving in winter is dangerous. Frankly speaking, driving in winter is not as dangerous if you get the right car. Please be sure that you get a 4WD car instead of a normal car as the road is very slippery. Other than that, it will be like normal driving in Malaysia during the raining season, just make sure that you drive slowly and steadily, no sudden movements. In Japan, the driver's seat is on the right side of the car, which same as Malaysia. Let me show you the types of cars we rented during the trip. When we booked from the website, it doesn't mention whether it is hybrid or non-hybrid but we were lucky to get the hybrid 4WD version which is not available in Malaysia. This is the latest Alphard in town but it could only fit 6 people. So far, it managed to fit 5 of us with 6 large luggages and one snowboard which is the maximum the car could fit. The car was full to the point it was hard to add any other bag. 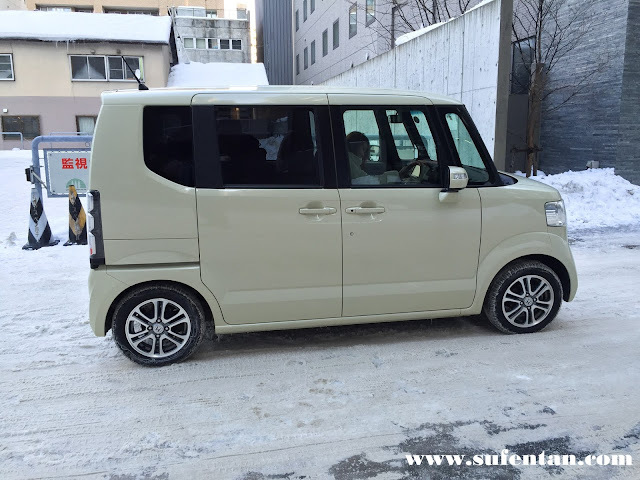 If you have 7 people or more, you can opt for the van option which is also available in Nippon. However, I'm not sure whether vans have 4WD options available. The next car that we booked was slightly smaller as we only have 4 people in the second part of our travel and fewer luggages. This is another car that is not available in Malaysia. It managed to fit 4 of us with 3 large luggages and 2 small hand luggages. This is the maximum capacity of the car space. Do take note that this car is unable to fit 4 large luggages. If you have 5 people, I would recommend to get a bigger car than this Subaru Exiga although it come with a larger boot space. Just remember that luggage space is a real concern when renting cars, you should make very accurate research to determine whether your car could fit all the people and luggage. This Subaru Exiga is a 4WD car. We took it up to the mountains and down the hill, it gave us a very smooth drive and we were quite impressed with it. For our last 3 days, we were only in Sapporo city so we rented a smaller car for city driving and we did not carry any luggages. This is a honda mini car which is only 660cc. We found it to be very cute in the square body like a box. It doesn't have a boot space, as it could only fit a small square box. This car doesn't come with a ETC device (you can't go through the ETC booth) and it is not a 4WD either. So, be really careful when driving this car. For town driving, I think it is perfectly fine. Just remember that braking on slippery roads will take much longer distances and response will be slower. You are not allowed to driving this car out from Saporo as it is not equipped with ETC device. It is not safe to drive outside from the city itself. 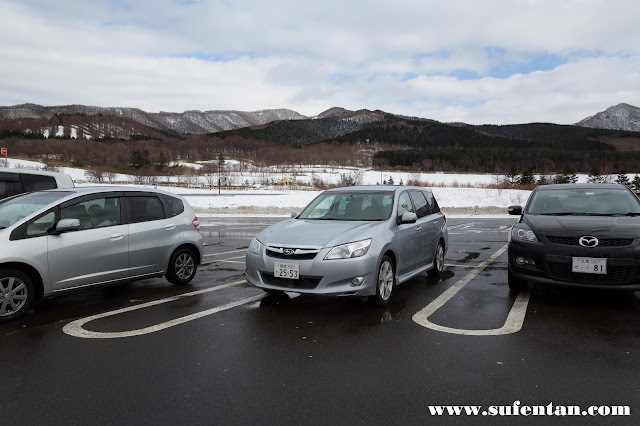 I would personally recommend to rent a car in Hokkaido during winter as it is really cold outside. Your trip will be more enjoyable when having a car around, rather than having to keep worrying on getting to shelter to keep warm. Besides, you get to visit locations that is further and not easily accessible by public transport and save lots of time. One last point, all Japan cars come with a heaters so dont worry and enjoy your trip! 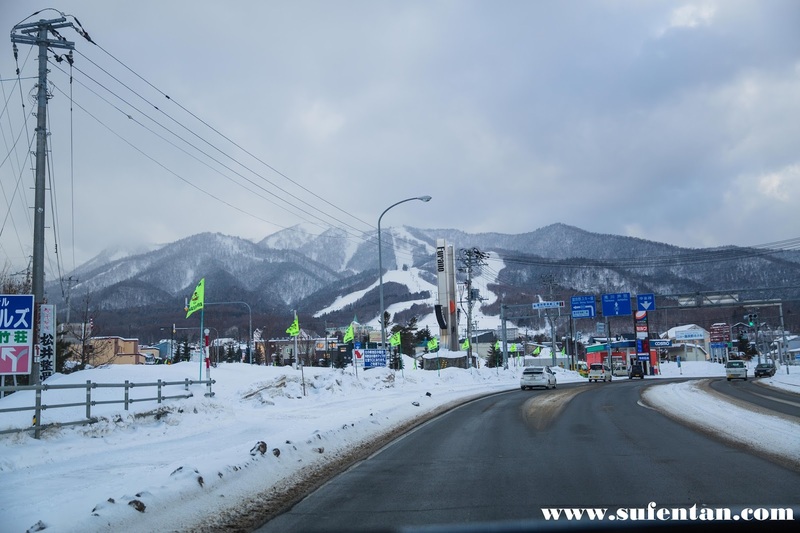 I hope you enjoyed my post and it helps you to gain more information about winter driving in Hokkaido!